It has been a long time in time in the making and there have been many projects in between. 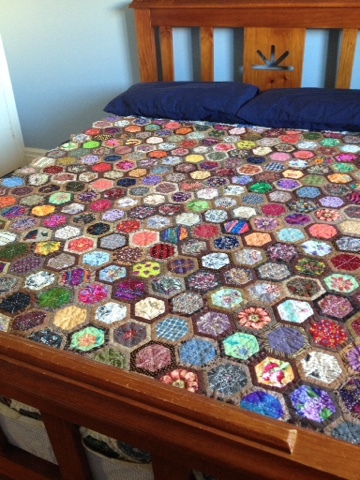 I have written about this quilt before so you can see that it has taken quite some time to finish. Luckily fabric doesn't go off and for a scrap quilt it doesn't matter if it is not the latest trend or colour. 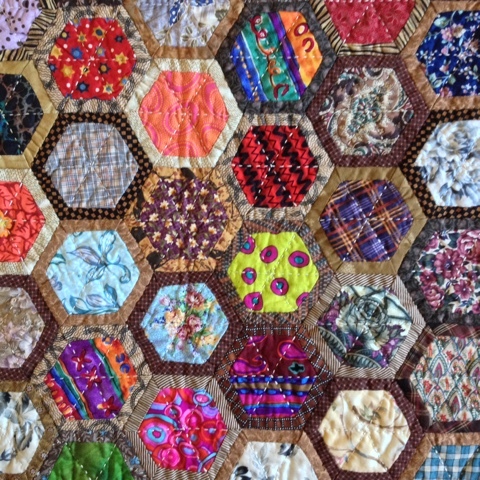 Scrap quilts such as this are a great way to use up a stash. The important thing is to have tonal variation with contrast in light, dark and mid tones and to make sure that there is a variety of scale in the prints. 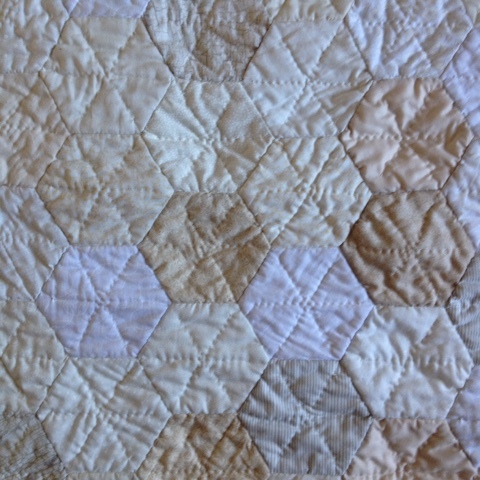 The quilt is made using a quilt as you go method. 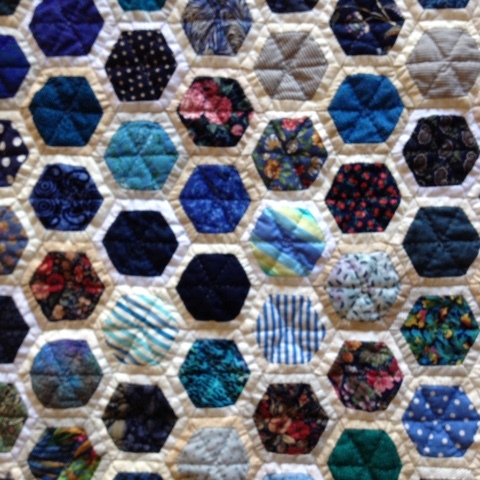 The background hexagon fabric is folded over the blue hexagon and stitched down forming a small white/cream border around each blue hexagon. I like the back of the quilt nearly as much as the front. This is another one made using the same technique, this time I opted for browns as the background fabrics and then the remaining fabrics were from my scrap bin. 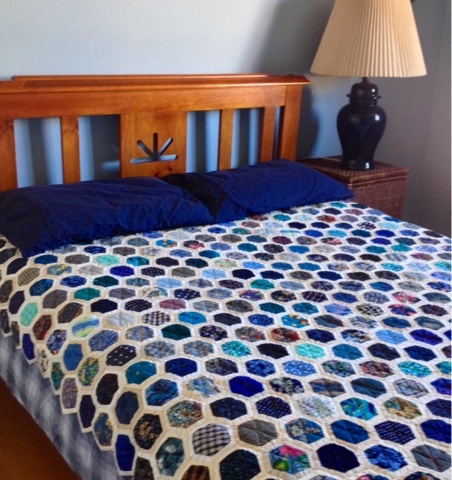 The quilting is perle embroidery thread, which has a different feel and appearance to the quilting in the blue quilt.